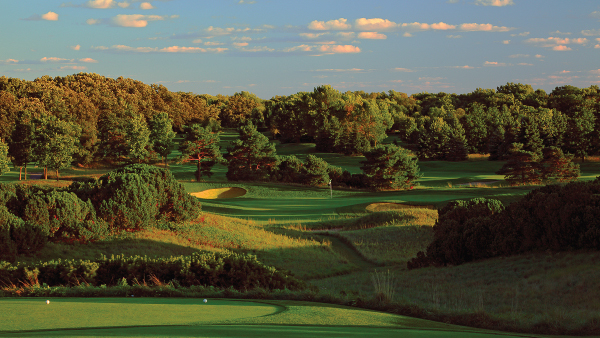 Conway Farms Golf Club, Lake Forest, IL. We’re out this week, but we’re re-posting some of our favorite pieces from 2012 while we’re away. We hope you enjoy—and have a happy New Year! In a 1940 letter to his daughter written six months before his death, F. Scott Fitzgerald said, “Once I thought that Lake Forest was the most glamorous place in the world. Maybe it was.” Sixty-six years later, as I drove through the Illinois suburb that sits thirty-two miles north of the heart of Chicago’s Loop, I kept looking around and wondering to myself what exactly it was that Fitzgerald found so great. I thought about him as I drank a coffee at a Starbucks that wasn’t there the last time I’d visited, and I noticed that the McDonald’s drive-through near the Metra train station seemed to be buzzing. All the suburban trappings I recalled from a childhood spent on the North Shore of Chicago were still there. To me, Lake Forest was a place I’d gotten to know by peeking through frosted car windows on my way to early morning hockey practice as a kid. Cozy, definitely, but not exactly the sort of place I associate with the Roaring Twenties decadence and wild parties conjured by Fitzgerald’s name. Founded in 1861, Lake Forest, Illinois, was originally built as a college town by Presbyterians. After the Civil War, the city attracted residents whose last names were synonymous with the building (and a decade later, the post–Great Fire rebuilding) of Chicago. 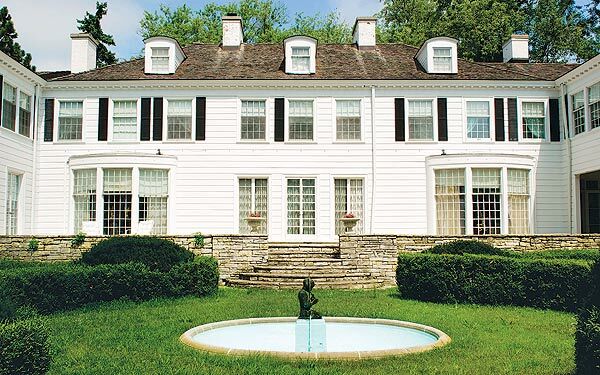 Thanks to its tranquility and natural beauty, as well as its isolation from main roads, Lake Forest became the Chicago metropolitan area’s most desirable neighborhood, attracting Rockefellers, Armours, Medills, and Marshall Fields. 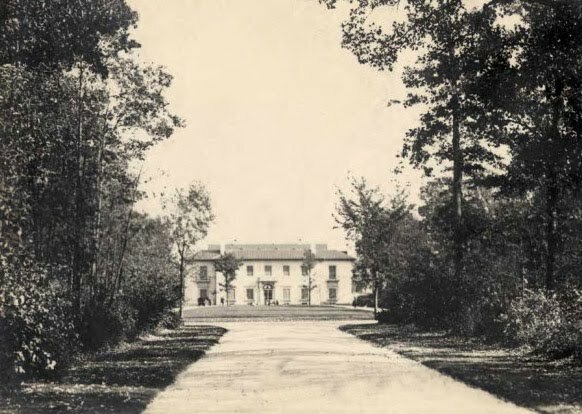 Lake Forest was the Greenwich of the Midwest: a haven for robber barons and meat packers far from the strikes, riots, and muckrakers that threatened the wealth and safety of the early twentieth century’s 1 percent. By the city’s 150th anniversary, in 2011, Lake Forest had served as the setting for a best-selling novel (A Heartbreaking Work of Staggering Genius, by native son Dave Eggers) and Oscar-winning film (Robert Redford’s Ordinary People). But the city’s first true claim to literary fame came in 1925, as a passing mention in the first chapter of The Great Gatsby, in which we learn from narrator Nick Carraway that Tom Buchanan has bought a string of polo ponies from Lake Forest. Carraway is amazed that a man of his own generation is wealthy enough to have done so. 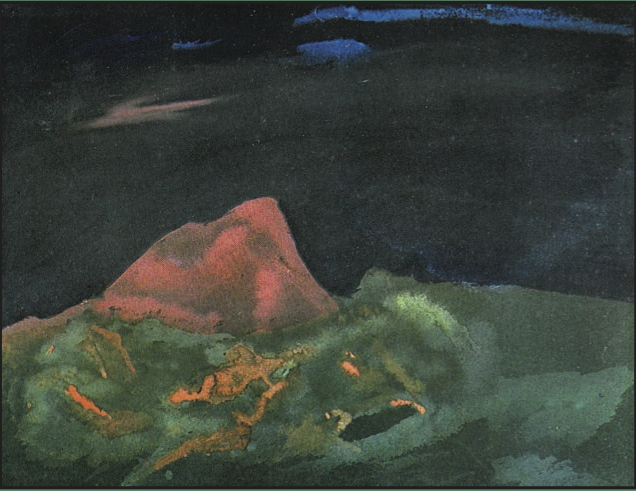 Fitzgerald’s repeated mentions of Lake Forest in his work is not much commented on; it isn’t associated with him the way Princeton University, Long Island, and the South of France tend to be. Indeed, the casual mention in Gatsby might lead one to believe that it was just a city he’d read about or a place he saw on a map. But it’s something more than that. The reason Lake Forest became such a significant place to one of America’s great writers is simple: his first love was from there. Ginevra King met Scott Fitzgerald for the first time on January 4, 1915, while visiting a school friend in Minnesota. The two began a romance that consisted primarily of written correspondence, until it was broken off in 1917. While a two-year letter writing campaign might not seem like much by today’s standards, it clearly made an impression. Several of Fitzgerald’s best-known female characters were based on a composite partially inspired by King and her letters: from Judy Jones in the short story “Winter Dreams” to Isabelle Borge in This Side of Paradise. The poor boy losing the rich girl is a common theme in Fitzgerald’s work, and the original model was surely his relationship with King. King’s influence is also present in the iconic character of Daisy Buchanan—Jay Gatsby’s obsession and one of Fitzgerald’s most memorable creations. In the years leading up to World War I, King and her three closest friends—Margaret Carry, Courtney Letts, and Edith Cummings—were considered celebrities in Lake Forest and, indeed, throughout the Chicagoland area. Collectively known as the Big Four (a name they bestowed on themselves), they were the socialites of their era. The exclusive group didn’t allow new members, and each wore a rose-gold pinkie ring with The Big Four 1914 engraved on the inner band. They rarely went out in public without each other, were either loved or reviled by everyone who knew about them, and, with the brashness of the young and rich, didn’t care about what anybody thought. 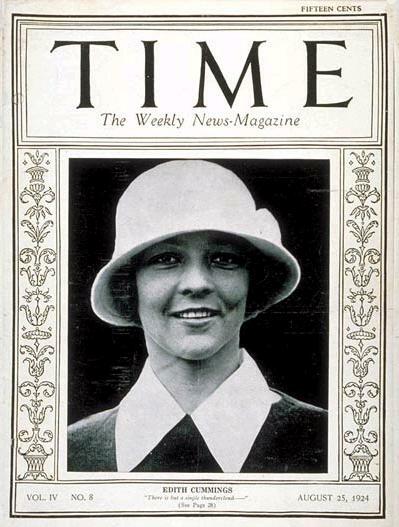 As if Gatsby’s one tie to Lake Forest wasn’t enough, Cummings, who in 1924 became the first golfer and female athlete featured on the cover of Time, is a reasonable culprit for the inspiration behind the sassy and dishonest golfer, Jordan Baker. As with any truly great book, everybody who loves Gatsby comes away with certain ideas of what the novel is really about. You can’t help but attach meaning to parts of the book in an attempt to understand things: Was Gatsby a Jew? What’s the deal with the green light? Is it a book about the American Dream or is it mocking the very concept? Gatsby is the type of classic that deserves to have conclusions drawn about it by scholars and casual readers alike. And as soon as I learned about Fitzgerald’s Lake Forest past, I was reading a book about him and Ginevra King. Fitzgerald wrote the chunk of the book that takes place on Long Island while living on Long Island with Zelda by his side, but it seemed to me that The Great Gatsby could have just as easily have been set in Lake Forest. 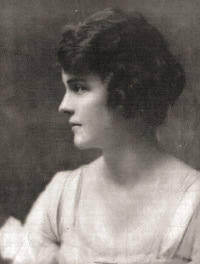 According to King’s diaries and letters to Fitzgerald (which are available to the public at Princeton University), the young writer first visited her in Lake Forest late in June 1915. The trip was brief, but Fitzgerald surely admired the beauty of the affluent city. He wouldn’t have missed Edith Rockefeller McCormick’s Villa Turicum—the lakefront estate (situated on three hundred acres) designed by Charles Platt and inspired by Edith Wharton’s Italian Villas and Their Gardens—and surely visited the public lawns manicured to resemble English gardens that he would later recall, in another “Ginevra story,” “A Nice Quiet Place,” as “immaculate.” He returned again the following summer. This time he had a bit more time to see Lake Forest and observe the culture. Since Fitzgerald’s own hometown in Minnesota mostly comprised the nouveau riche, his time spent in Lake Forest was perhaps his first exposure (not counting rowdy days at Princeton) to old money’s natural habitat. If that is indeed the case, the city that stretches out along Lake Michigan shaped the writer’s view of how the other half lived, and any fan of Fitzgerald knows that the lifestyles of the rich (both old and new) were fixations in his work. And it could be mere coincidence, but Lake Forest is part of the group of Chicagoland lakefront cities known as the North Shore; Gatsby’s West and East Egg, based off the Long Island cities of Great Neck and Sands Point, are also on a part of the island referred to as the North Shore. I visited Lake Forest again last year and thought more about Fitzgerald and King. I grabbed a coffee at the Starbucks that didn’t seem so new anymore, I ate lunch at a restaurant with three different autographed Vince Vaughn photos (another favorite son of the city), and I reread Gatsby before crashing on a friend’s couch in nearby Evanston. I tried to picture this writer, of whom I’ve only seen about a dozen photographs, sitting at his desk thinking of Lake Forest and the girl he once knew from there. The next day I got into a car and took the only thing resembling a literary pilgrimage I’ve ever taken in my life, as I drove through the city trying to experience what Fitzgerald had experienced. I looked out over the bluffs that faced Lake Michigan, trying to imagine a fabulous West Egg party taking place there. I tried to picture Meyer Wolfsheim making a stop in Lake Forest after he met with Chicago associates, and I envisioned Jordan Baker teeing up as I passed by the Onwentsia Club where King and her three friends were regulars. And when I caught a glimpse of the property once known as Kingdom Come Farms that was owned by King’s father, and, no doubt, hosted Fitzgerald at least once, I tried to imagine Gatsby pulling up in a yellow Rolls Royce, hoping to impress the girl who changed his life when he was a much younger man.